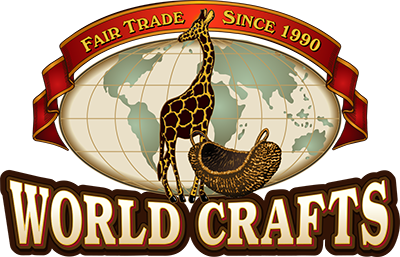 World Crafts opened on September 17, 1990 at it's current location in Kidron, Ohio. We are a non-profit, unincorporated association run by a Board of Directors with 7 members from area church congregations. We have one paid staff member and a roster of approximately 30 volunteers. Our mission and vision: We support disadvantaged artisans around the world through the marketing and selling of their products in a fashionble gift boutique atmosphere. We also educate our customers by hosting events, telling artisan stories,explaining the Fair Trade concept and providing literature for further information.